From angels in the night, to visions of the future, to miraculous healings in the present, this book has it all! Take an inspirational journey into the amazing life story of Intuitive Healer, Lauren Heistad. Uncover the monumental moments in her life, learn from her examples, and share in the events that lead to her profound Declaration of Dependence. The contents held within these pages are blessed with astounding life experiences that will challenge you to ponder and activate your own SOULworks. With startling accounts of biblical proportions, Evolving your SOULworks takes spiritual development to a whole new level! Take an inspirational journey into the miraculous life story of Intuitive Healer, Lauren Heistad and uncover the monumental moments that lead to her sincere proclamation of prophecy. 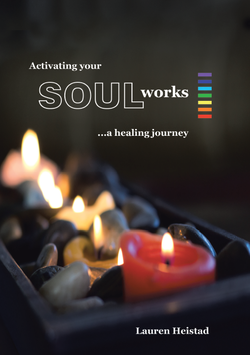 Stay connected to Lauren through the monthly SOULworks newsletter. 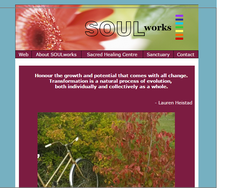 This monthly email highlights all upcoming events, workshops, and opportunities available with Lauren as well as all others within the SOULworks Sacred Healing Centre. Also included within this publication is an article of inspiration. Straight from Lauren's heart to yours, each article is designed to ponder and expand your awareness to all things.